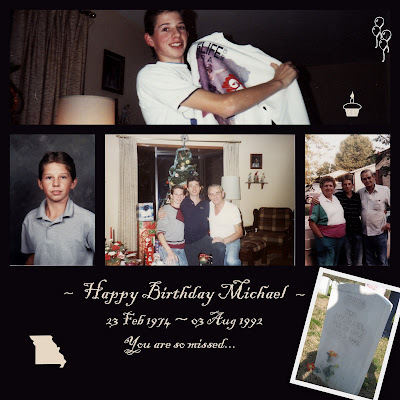 Here's wishing our brother, Michael, a Happy Birthday in heaven. Michael was taken away from us way too early. We wish you were here with us Michael, you are very missed . . . . Thank you, Cathy . . . you said it perfectly.